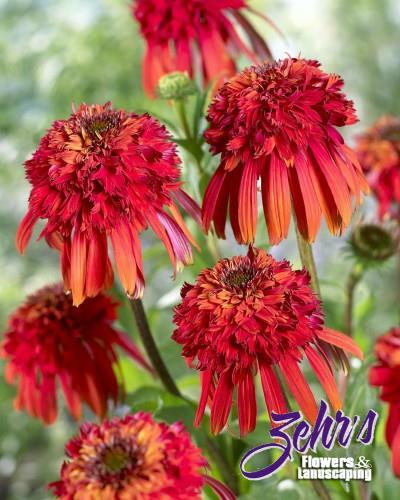 A breakthrough in Echinacea breeding, this first-ever double orange selection. The blooms emerge with florescent, papaya colored ray petals and a deep orange-yellow cone. Hot Papaya matures with rich, spicy orange ray petals that are topped by a double, reddish-orange pompom. Each pompom has a remarkable papaya colored halo in the center that grows as it ages. Prefers moist, but well drained to get established, once established, it is very drought tolerant. Introduced by Plants Nouveau.